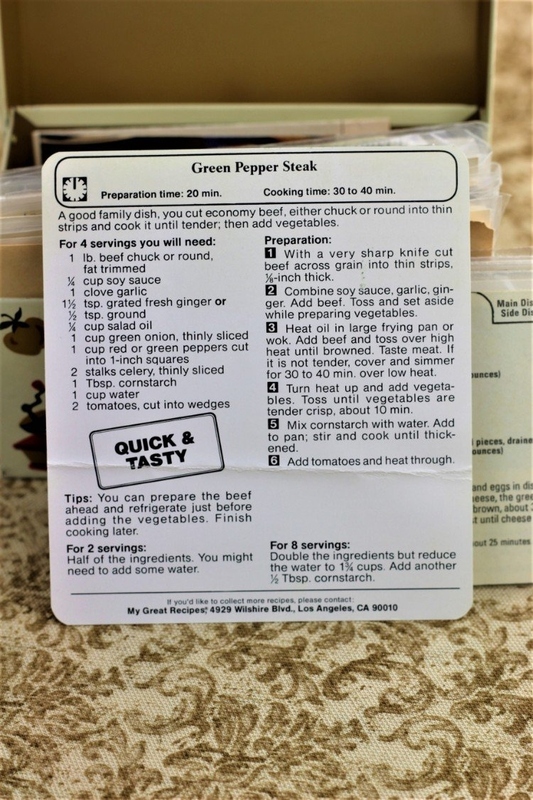 Front of the recipe card for Green Pepper Steak. 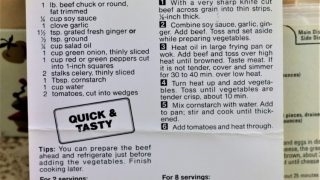 Back of the recipe card for Green Pepper Steak. 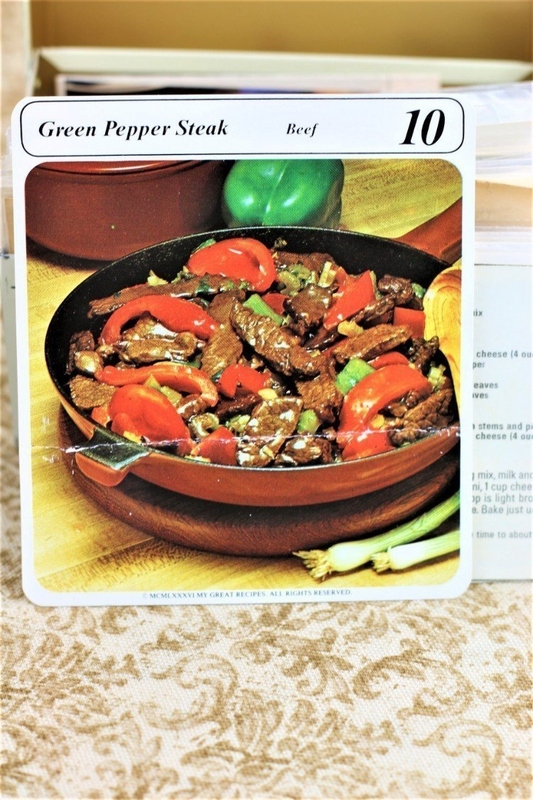 There are lots of fun recipes to read in the box this recipe for Green Pepper Steak was with. Use the links below to view other recipes similar to this Green Pepper Steak recipe. If you make this Green Pepper Steak recipe, please share your photos and comments below! With a very sharp knife cut beef across grain into thin strips, 1/8-inch thick. Combine soy sauce, garlic, ginger. Toss and set aside while preparing vegetables. Add beef and toss over high heat until browned. Taste meat. If it is not tender, cover and simmer for 30 to 40 min. over low heat. Turn heat up and add vegetables. Toss until vegetables are tender crisp, about 10 min. Add to pan; stir and cook until thickened. Tips: You can prepare the beef ahead and refrigerate just before adding the vegetables. Finish cooking later. For 2 servings: Half of the ingredients. You might need to add some water. For 8 servings: Double the ingredients but reduce the water to 1¾ cups. Add another ½ Tbsp. cornstarch. Preparation time: 20 min. Cooking time: 30 to 40 min.